Since 1981 Philip Nathe has worked within the criminal justice system. After graduating with Honors from Western Illinois in 1984, Phil accepted a position as a probation officer with the DuPage County Probation Department. For the following four years he was responsible for drafting pre-sentence reports for individuals convicted of offenses from DUI to murder. During his positions as a clerk and probation officer, Phil attended and graduated from The John Marshall Law School in Chicago, Illinois. Upon graduating from law school, Phil accepted a position as an assistant state's attorney in DuPage County, Illinois where he served for approximately two years. During this period of time Phil was responsible for the prosecution of criminal offenses finding himself on trial on a daily basis. After the prosecutor's office, Phil accepted a position with Hinshaw & Culbertson in Lisle, Illinois as a trial attorney. In 1994 Phil opened his office in Naperville, Illinois. His practice consists primarily of criminal defense work, which includes traffic and juvenile defense services. Phil finds himself in court on a daily basis fighting for the rights and interests of his clients. Based upon his some twenty years of experience in the criminal justice system, he is uniquely well qualified as a criminal defense attorney. 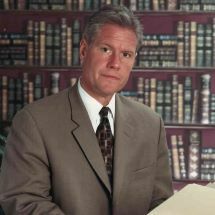 Phil also handles some civil litigation, such as contractual disputes and collection matters.